A business based in Maryland that provides service or products on credit will eventually discover some customers will fall delinquent in paying invoices. Once a business discovers the customer has no intentions of paying, bringing in a collection agency to assist in recovering the money owed is essential to improve cash flow. While some businesses will attempt to collect money themselves, those efforts can be fruitless with some debtors. The best collection agencies in Maryland can help collect from even the toughest debtors. Many business owners have never had past due customers and will ask, “Where can I hire a collection agency’? Below we have listed a few important details below to help you find the best collection for small businesses. Industry Expertise– Many collection agencies specialize in collecting certain industries. This is due to them collecting for many companies within those industries and gaining experience on how to negotiate with the debtors. The experience allows the debt collectors to become more proficient than the average collectors. FDCPA– The Fair Debt Collection Practices Act (FDCPA) is a federal law that limits the behavior and actions of third-party debt collectors who are attempting to collect debts on behalf of another entity. Simply put, the collection agency should always follow FDCPA and be familiar with collecting effectively within the laws put forth by FDCPA. Feedback- Many online reviews such as Google or Yelp will offer an insight into how the debt collection operates. Keep in mind, disgruntled debtors may leave negative reviews in an attempt to hurt the collection agencies business reputation. Nuggets of information left by clients who were represented by the collection agency are the most valuable reviews. Recovery Rates– Debt collection agencies will gladly share what the overall recovery success rates are. A collection agency can typically give an idea of how collectable they view the accounts a business has based on the age, industry, and information surrounding the debt. 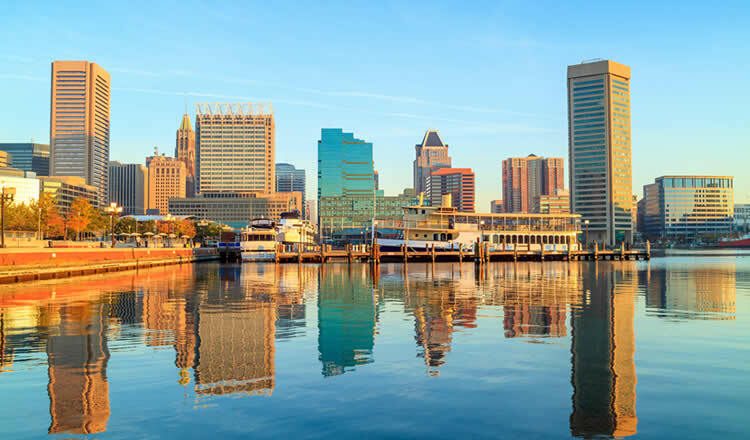 A business that is located in the state of Maryland will typically see the best results when they partner with a Maryland debt collection agency. If a Veterinarian located in Baltimore has several customers past due, they should first try to find a collection agency in Baltimore. Hiring a Baltimore collection agency will allow the Veterinarian to be able to meet face to face and build a trusting relationship with the agency. Sometimes it can be difficult to find a collection agency that within the city your agency is based in, especially if you are located in a smaller city. If a business follows the details below, they should expect quality results. Has the Collection Agency Represented a Similar Business? In the above example, the Veterinarian in Baltimore collection agency should seek out a collection agency with experience in collecting from pet owners who are past due on medical bills. Try to find the “Veterinarian collection agency experts”, meaning the agency that has worked with multiple Animal Hospitals. That agency will usually provide you with the best results due to the experience the debtors have on collecting from similar past due clients. Finding a collection agency does not have to be stressful. Allow CollectionAgencyMatch.com to match your business with a reputable collection agency. Obtain a risk-free quote today!